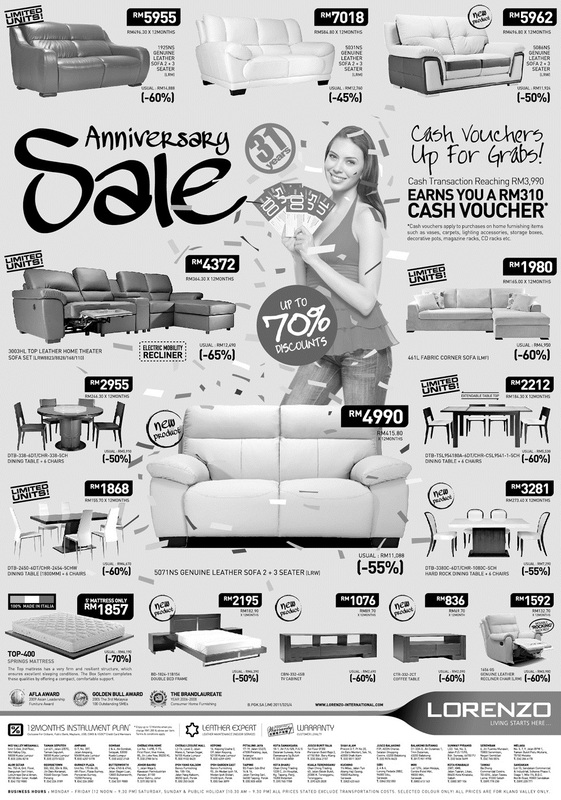 Lorenzo 31st Anniversary Sale: 70% discount + Cash Vouchers! 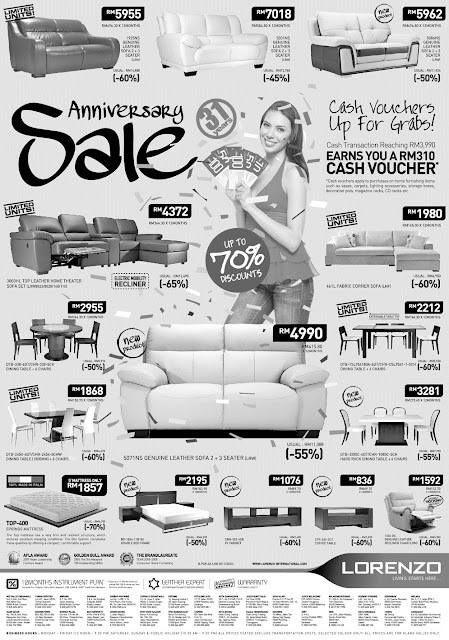 Up to 70% discount at 32 locations! Cash vouchers up for grabs too! earns you a RM310 Cash Voucher! 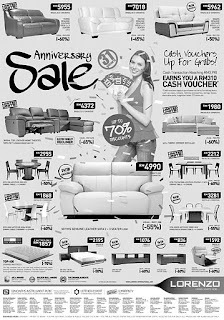 * Cash vouchers apply to purchases on home furnishing items such as vases, carpets, lighting accessories, storage boxes, decorative pots, magazine racks, CD racks etc.